The illiterate of 21st century aren’t people who can’t read or write. They are people who can’t unlearn, relearn and re-skill themselves. I was using their free version to learn HTML 5 & CSS3. I got stuck in CSS. 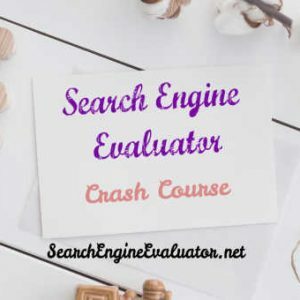 I could progress no further as the free version doesn’t have that facility where in you can ask instructors whenever you are stuck or there are errors in your codes. Then I checked out their pro version and I thought to myself, Man I ain’t gonna pay so much for this. $19.99 a month ! That’s $239.88 a year. That’s when I found Udemy. I have known it for years but never thought of giving it a try. So I logged in to their platform, researched their courses, reviews, number of students enrolled per course, costs, etc. Voila ! That’s exactly what I was looking for. Within a month I was so good at CSS and HTML that I could clone “The Guardian” newspaper. 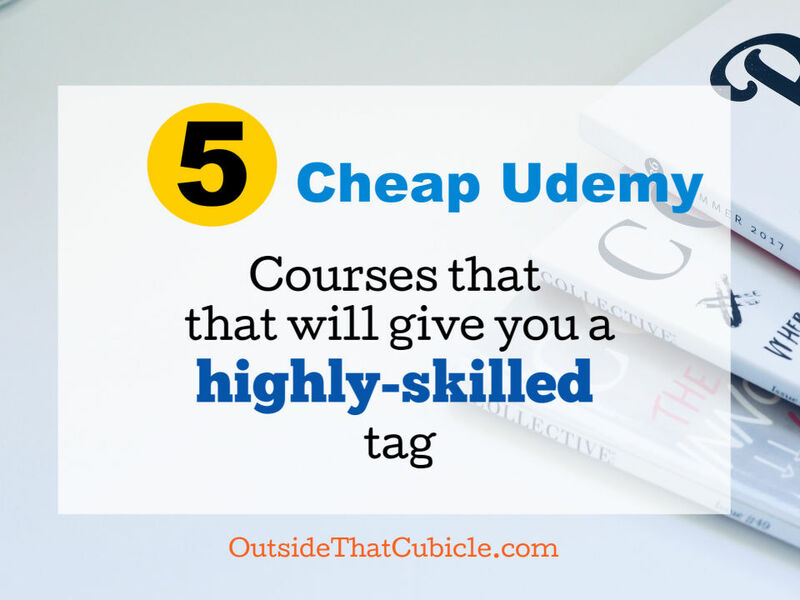 So if you are struggling with learning new skills and making yourself relevant in today’s changing job landscape, you might want to check out Udemy. Whether you want to be a professional web-developer or a hobbyist, you got to check out these amazing web-development courses. This is the course that I was alluding to previously. This course made me a master of HTML and CSS in less than 15 days. And I was able to code beautiful looking websites as I progressed in to the course. The course is interactive, meaning you learn by doing it. Build 25 websites as you go. 136,872 students enrolled for this. Average rating of 4.6 from 28,203 students. Real Time Question and Answer Forum. Accessible on mobile & tablets(app), desktop or laptop. HD videos (720 or 1080). A PC or a Mac is all that you need. No special software required and there is no up sells inside the course. 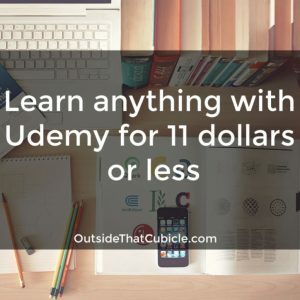 This is one of the most popular courses available today in web development in Udemy today. And rightfully so. Here are the highlights of this course. 4.7 rating from 43,202 students. 42.5 hours on demand video. Create beautiful landing pages for startup. Make a beautiful, responsive photographer’s portfolio page. Real Time Question & Answer forum. Accessible on mobile and TV as well. Available in English, Dutch, French, Hindi, Korean, Polish & Traditional Chinese. Create your own browser-based games. Here is a screenshot of this course. Ever thought of developing apps? How about creating the next WhatsApp or Instagram? Got a burning idea inside your head but can’t afford to pay the app developers? Or you are afraid that your idea might be stolen? If you said yes to all those questions, then mobile app development courses are for you. Gone are the days when you needed products, employees, factories, warehouses, logistics, etc to start a company. All that you need in this day and age is an APP for your business idea. Let me give you few examples from an Indian perspective. And oh by the way, these start-ups grew right in front of our very eyes. And they are all ideas expressed through apps, ran exclusively through mobile Apps. Grofers – A grocery delivery company founded in 2014. Another example is BigBasket. Ola – Rival of Uber in India. Tinder – I don’t have to explain what that is. And the list goes on. We are living at a time where everyone and anyone can start a company simply by building an app. Got an idea that you think might make you a millionaire? Build Apps ! Don’t know how to? No problem. Let’s find out the best courses available for the same. Another great course by the same teacher that I am fond of, Rob Percival. 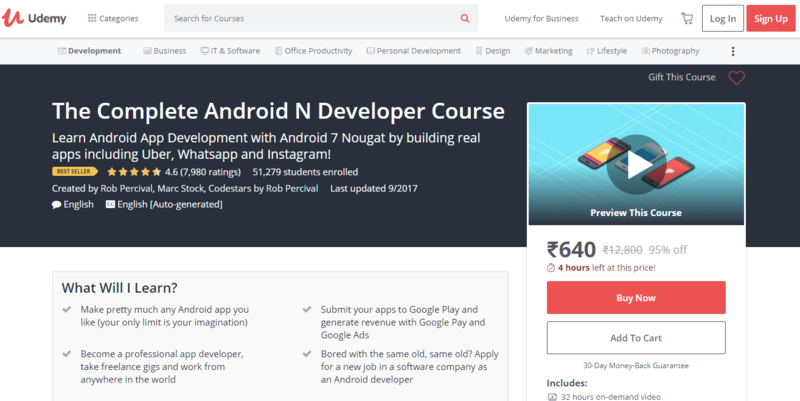 This course will take you from a complete newbie to a professional app developer even if you have zero coding knowledge. 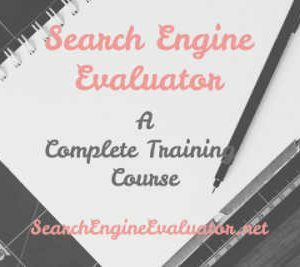 You will be able to build apps like WhatsApp, Uber, Instagram, etc as you progress in to this course. And you have a 30 days money back guarantee. 4.6 rating from 7980 students. Build an easy-peasy currency converter app to start out with. Build a Brain Training App. Clone WhatsApp, Uber & Instagram. £300 worth of exclusive app templates. Submit your App in Google Play and generate revenue with Google Play and Google Ads. How to successfully market your app. Questions answered in real time inside course forum. Here is a screenshot of the course. A Windows PC, Mac or Linux Computer. 24% of iOS App Developers makes over $5000 every month. And you could be making over $5000 every month by being an iOS developer. Complete newbie? No problema. Intermediate iOS developer? Even better ! With this course, you should be able to build not just simple apps but intelligent apps by integrating Machine Learning. You will learn how to get featured in the app store and get a freelance job as a junior iOS developer. Rated 4.8 from over 5000 student ratings. Over 40 hours on-demand video. Access on mobile or TV. No previous coding experienced required. Build a Story App Like Lifeline. Build a Bitcoin Price Tracker App. Build Augmented Reality Apps like Pokemon Go. Build your own paid membership App. Get Featured on App Store. A Mac laptop or iMac (or a PC running macOS). No paid software required – all apps will be created in Xcode 9 (which is free). Want to crack wifi password of your neighbor? How about taking control of any computer system in the world? Whether you want to hack like a ninja hacker or secure a system like a security expert, the course below is all you need to be an ethical hacker and make money in the process. Here is the most famous and a best-selling course on Udemy on Ethical Hacking. In less than 13 hours, one can learn the skills and techniques to hack like a black hat hacker and secure their system like a security expert. This course teaches one to crack wifi passwords, penetrate websites, gain access to any computer system in the world and secure yourself from such attacks. Rated 4.6 from over 11,000 ratings. Create Fake wifi networks and spy on anyone. Gain access to computer system. Perform penetration testing on websites. Send email from any email account without knowing their password. Bypass log in forms and log in as admin using SQL injections. Over 12.5 hours of on-demand video. Wireless adapter (for the wifi cracking section ONLY). 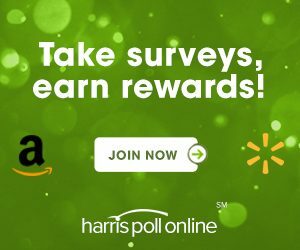 Where do you want to spend $10 (INR 640) ? In a bar or to learn a new skill set that could potentially bring you thousands of dollars as a side gig? Your choice my friend.